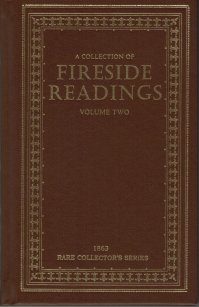 Lamplighter's collection of fireside readings gently instills virtuous qualities such as honesty, integrity, loyalty, courage and perseverance into the very fabric of our lives. Through unforgettable events, common, everyday boys and girls become heroes as they overcome temptation and courageously fight the adversary. Our children will want to be more like them - in fact, they will long to be. 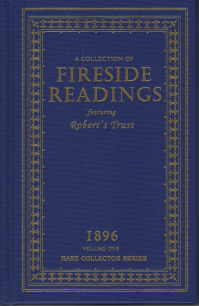 Stories include: Robert's Trust, Jack's Hymn and Eric's Good News. From Christian Forsyth of Ashland, Alabama on 12/15/2016 . From Kimberly of Oviedo, Florida on 3/3/2015 . My children were fiercely begging to go on at the end of each chapter. From Mary of Atlanta, Georgia on 11/23/2014 . Lovely stories that will be read over and over again. They remind me of the stories my Granny told me as a child. A wonderful addition to our library. From Michael Warren of Crystal Lake, Illinois on 7/3/2014 . I enjoy reading these aloud to my children (10,7,5) and they love to listen. They ask questions about vocabulary they do not understand and follow the engaging stories. One challenge for me reading aloud is voicing some of the slang/broken english used by some characters. It takes a moment to discern what the character is communicating. This issue is also challenging for children reading independently. However, it should NOT deter you from these high quality books. From Angela Hagenow of Moundville, Missouri on 3/18/2014 . I purchased this for my oldest son and daughter to read aloud to their children. My grandchildren are 2,4 and 5 years old and they are sitting quietly to listen to Daddy read these stories that portray Biblical virtues and wonderful illustrations. They are looking forward to receiving Volume 2 in their next book club purchase.